Status epilepticus (SE) is an epileptic seizure of greater than five minutes or more than one seizure within a five-minute period without the person returning to normal between them. Previous definitions used a 30-minute time limit. The seizures can either be of the tonic-clonic type with a regular pattern of contraction and extension of the arms and legs or of types that do not involve contractions such as absence seizures or complex partial seizures. Status epilepticus is a life-threatening medical emergency particularly if treatment is delayed. Status epilepticus may occur in those with a history of epilepsy as well as those with an underlying problem of the brain. These underlying brain problems may include trauma, infections, or strokes among others. Diagnosis often involves checking the blood sugar, imaging of the head, a number of blood tests, and an electroencephalogram. Psychogenic nonepileptic seizures may present similarly. Other conditions that may also appear to be SE include low blood sugar, movement disorders, meningitis, and delirium among others. Benzodiazepines are the preferred initial treatment after which typically phenytoin is given. Possible benzodiazepines include intravenous lorazepam as well as intramuscular injects of midazolam. A number of other medications may be used if these are not effective such as valproic acid, phenobarbital, propofol or ketamine. Intubation may be required to help maintain the person's airway. Between 10 to 30% of people who have status epilepticus die within 30 days. The underlying cause, the person's age, and the length of the seizure are important factors in the outcome. Status epilepticus occurs in up to 40 per 100,000 people per year. It makes up about 1% of people who visit the emergency department. Status epilepticus can be divided into two categories: convulsive and nonconvulsive (NCSE). Convulsive status epileptics presents with a regular pattern of contraction and extension of the arms and legs. Epilepsia partialis continua is a variant involving hour-, day-, or even week-long jerking. It is a consequence of vascular disease, tumors, or encephalitis, and is drug-resistant. Generalized myoclonus is commonly seen in comatose people following CPR and is seen by some as an indication of catastrophic damage to the neocortex. Super-refractory status epilepticus is defined as status epilepticus that continues or recurs 24 h or more after the onset of anaesthetic therapy, including those cases where status epilepticus recurs on the reduction or withdrawal of anaesthesia. Nonconvulsive status epilepticus is a relatively long duration change in a person level of consciousness without large scale bending and extension of the limbs due seizure activity. It is of two main types with either prolonged complex partial seizures or absence seizures. Up to a quarter of cases of SE are nonconvulsive. In the case of complex partial status epilepticus, the seizure is confined to a small area of the brain, normally the temporal lobe. But the latter, absence status epilepticus, is marked by a generalised seizure affecting the whole brain, and an EEG is needed to differentiate between the two conditions. This results in episodes characterized by a long-lasting stupor, staring, and unresponsiveness. Sleep deprivation of more than a short duration is often the cause of a (usually, but not always, temporary) loss of seizure control; those whose seizures are inherently severe but otherwise controlled by medication can regress and have severe seizures or status epilepticus even if they are still taking their medication unless they regain their rest. Definitions vary, but currently it is defined as one continuous, unremitting seizure lasting longer than five minutes, or recurrent seizures without regaining consciousness between seizures for greater than five minutes. Previous definitions used a 30-minute time limit. NCSE is believed to be under-diagnosed. Diazepam that can be inserted rectally is often prescribed to caregivers of people with epilepsy. This enables treatment of multiple seizures prior to being able to seek medical care. Benzodiazepines are the preferred initial treatment after which typically phenytoin is given. First aid guidelines for seizures state that, as a rule, an ambulance should be called for seizures lasting longer than five minutes (or sooner if this is the person's first seizure episode and no precipitating factors are known, or if SE happens to a person with epilepsy whose seizures were previously absent or well controlled for a considerable time period). When given intravenous, lorazepam appears to be superior to diazepam for stopping the seizure. Intramuscular midazolam appears to be a reasonable option especially in those who are not in hospital. The benzodiazepine of choice in North America for initial treatment is lorazepam due to its relatively long (2–8 hr) duration of action when injected, and its rapid onset of action, which is thought to be due to its high affinity for GABA receptors and to its low lipid solubility, which causes it to remain in the vascular compartment. If lorazepam is not available, or intravenous access is not possible, then diazepam should be given. In several countries outside North America, intravenous clonazepam is regarded as the drug of first choice. For instance a guideline from the Netherlands recommends clonazepam. Cited advantages of clonazepam include a longer duration of action than diazepam and a lower propensity for the development of acute tolerance than lorazepam. The use of clonazepam for this indication has not caught on in North America, as it is not available as an intravenous formulation there. Particularly in children, another popular treatment choice is midazolam, given into the side of the mouth or the nose. Sometimes, the failure of lorazepam alone is considered to be enough to classify a case of SE as resistant to treatment. Phenytoin was once another first-line therapy, although the prodrug fosphenytoin can be administered three times as fast and with far fewer injection site reactions. If these or any other hydantoin derivatives are used, then cardiac monitoring is a must if they are administered intravenously. Because the hydantoins take 15–30 minutes to work, a benzodiazepine or barbiturate is often coadministered. Because of diazepam's short duration of action, they were often administered together anyway. Valproate is available to be given intravenously, and may be used for status epilepticus. Carbamazepine is not available in an intravenous formulation, and does not play a role in status epilepticus. Before the benzodiazepines were invented, there were the barbiturates, which are still used today if benzodiazepines or the hydantoins are not an option. These are used to induce a barbituric coma. The barbiturate most commonly used for this is phenobarbital. Thiopental or pentobarbital may also be used for that purpose if the seizures have to be stopped immediately or if the person has already been compromised by the underlying illness or toxic/metabolic-induced seizures; however, in those situations, thiopental is the agent of choice. If this proves ineffective or if barbiturates cannot be used for some reason, then a general anesthetic such as propofol may be tried; sometimes it is used second after the failure of lorazepam. This also means putting the people on artificial ventilation. Propofol has been shown to be effective in suppressing the jerks seen in myoclonus status epilepticus. Ketamine, an NMDA antagonist drug, can be used as a last resort for drug-resistant status epilepticus. 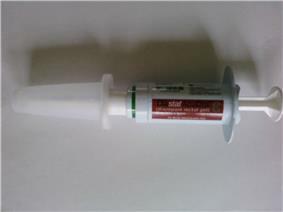 Lidocaine has been used in cases that do not improve with other more typical medications. One concern is that seizures often begin again 30 minutes after it is stopped. Additionally, it is not recommended in those with heart or liver problems. Between 10 to 30% of people who have status epilepticus are dead within 30 days. The great majority of these people have an underlying brain condition causing their status seizure such as epilepsy—in otherwise good health can survive with minimal or no brain damage, and can decrease their risk of death and even avoid future seizures. In the United States, about 40 cases of SE occur annually per 100,000 people. This includes about 10-20% of all first seizures. Shortly after it was introduced in 1963, diazepam became the first choice for SE. Even though other benzodiazepines such as clonazepam were useful, diazepam was relied upon almost exclusively. This began to change in 1975 with a preliminary study on lorazepam conducted by Waltregny and Dargent, who found its pharmacological effects were longer-lasting than those of an equal dose of diazepam. This meant it did not have to be repeatedly injected like diazepam, the effects of which would wear off five to 15 minutes later in spite of its 30-hour half-life (due to extensive redistribution of diazepam outside the vascular compartment, as diazepam is highly lipid-soluble). ^ a b c d e f g h i j k Al-Mufti, F; Claassen, J (Oct 2014). "Neurocritical Care: Status Epilepticus Review.". ^ a b c d e f g Trinka, E; Höfler, J; Zerbs, A (September 2012). "Causes of status epilepticus.". Epilepsia. 53 Suppl 4: 127–38. ^ a b c Prasad, M; Krishnan, PR; Sequeira, R; Al-Roomi, K (Sep 10, 2014). "Anticonvulsant therapy for status epilepticus.". The Cochrane database of systematic reviews 9: CD003723. ^ Wijdicks, Eelco F. M.; Parisi, J. E.; Sharbrough, F. W. (February 1994). "Prognostic value of myoclonus status in comatose survivors of cardiac arrest". Annals of Neurology 35 (2): 239–43. ^ A Critical Review of Available Therapies and a Clinical Treatment Protocol, Simon Shorvon, Monica Ferlisi:Brain. 2011;134(10):2802-2818. ^ a b c Chang, AK; Shinnar, S (Feb 2011). "Nonconvulsive status epilepticus.". Emergency medicine clinics of North America 29 (1): 65–72. ^ a b c d e f Stasiukyniene, V.; Pilvinis, V.; Reingardiene, D.; Janauskaite, L. (2009). "[Epileptic seizures in critically ill patients]". Medicina (Kaunas) 45 (6): 501–7. ^ Nair, PP; Kalita, J.; Misra, U. K. (Jul–Sep 2011). "Status epilepticus: why, what, and how". ^ Rubin, Diana; Stephan, Ruegg; Stephan, Marsch; Christian, Schindler; Leticia, Grize; Raoul, Sutter (August 24, 2011). "High prevalence of nonconvulsive and subtle status epilepticus in an ICU of a tertiary care center: A three-year observational cohort study". Epilepsy Research j.eplepsyres.2011.05.018 96 (1): 140–150. ^ Pang, Trudy; Lawrence J. Hirsch (July 2005). "Treatment of Convulsive and Nonconvulsive Status Epilepticus". Current Treatment Options in Neurology 7 (4): 247–259. ^ "22.8 Convulsieve status epilepticus". Acute Boekje (PDF) (in Nederlands) (4th ed.). Van Zuiden Communications B.V. 2009. p. 276. ^ a b Lawn, Nicholas D; Wijdicks, Eelco FM (2002). "Status epilepticus: A critical review of management options". Neurol J Southeast Asia 7: 47–59. ^ Walker, D. M.; Teach, S. J. (June 2006). "Update on the acute management of status epilepticus in children.". Curr Opin Pediatr 18 (3): 239–44. ^ a b Beran, RG. (April 2008). "An alternative perspective on the management of status epilepticus". Epilepsy Behav 12 (3): 349–53. ^ Pourrat, X; J .M. Serekian, D. Antier, J. Grassin (June 9, 2001). "Generalized tonic-clonic status epilepticus: therapeutic strategy". Presse Médicale 30 (20): 1031–6. (French). ^ Marik, Paul E.; Joseph Varon (2004). "The management of status epilepticus". Chest 126 (2): 582–91. ^ Wijdicks, Eelco F. M. (July 2002). "Propofol in myoclonus status epilepticus in comatose patients following cardiac resuscitation". Journal of Neurology Neurosurgery and Psychiatry 73 (1): 94–5. ^ van Rijckevorsel, K.; Boon, P.; Hauman, H.; Legros, B.; Ossemanns, M.; Sadzot, B.; Schmedding, E.; van Zandijcke, M. (September 2005). "Standards of care for adults with convulsive status epilepticus: Belgian consensus recommendations". Acta Neurol Belg 105 (3): 111–8. ^ a b c Schmutzhard, E; Pfausler, B (Oct 2011). "Complications of the management of status epilepticus in the intensive care unit.". Epilepsia. 52 Suppl 8: 39–41. ^ Waltregny, Alain; Jérôme Dargent (September–October 1975). "Preliminary study of parenteral lorazepam in status epilepticus". Acta Neurologica Belgica 75 (5): 219–29. ^ Walker, JE; RW Homan; MR Vasko; IL Crawford; RD Bell; WG Tasker (September 1979). "Lorazepam in status epilepticus". Annals of Neurology 6 (3): 207–13.